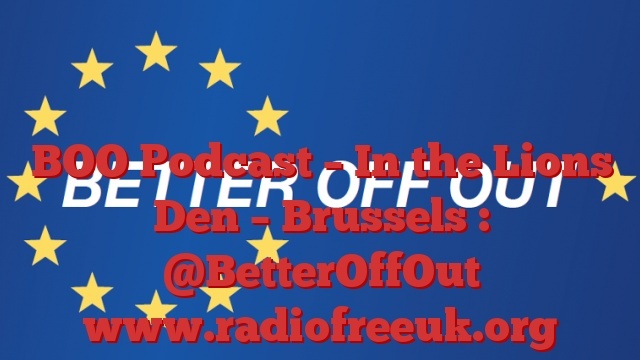 This week our podcast takes the form of a special report from the European Parliament in Brussels. Lottie and I went out there to hold some campaign meetings with assorted MEPs, but we took the opportunity to record some interviews with people we met and to learn a little bit more about how the European Parliament works – or rather doesn’t. That’s it for this week. Don’t forget that you can learn more about this campaign on our website www.BetterOffOut.net. We are also on Facebook and Twitter and we have our own YouTube Channel as well.